Trust no one and suspect everyone? what an unusual blog post title. I know what your thinking this has nothing to do with vintage but when you read further on you should have an idea. Lets being shall we, about 4 years ago maybe even 6 years ago I cannot remember exactly when but I was at my grandparents house and they put a programme on the telly. 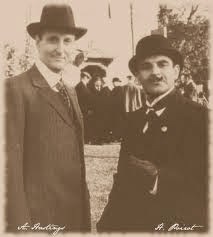 It was called 'Agatha Christie Poirot' I thought to myself it's going to be a documentary that I do not understand. Well wasn't I wrong.. the opening theme tune began and I was hooked from that day onwards and since that day I have loved every single episode and have watched them so many times and still love them. Agatha Christie was an amazing writer and it fascinates me how clever she was to write books that made you believe that he, Hecule Poirot was a real person when he's not. I have only read a few books, as I said I watched the television series that aired on ITV from 8th January 1989 to 13th November 2013. When I read a couple of the books I imagined David Suchet playing Poirot and hearing his voice. I love when you read the books Captain Hastings tells the story too. David Suchet spent years perfecting his performance as Hercule Poirot. He read all the stories and a character dossier, a copy of which was included in his memoir Poirot and Me (2013). He has repeatedly stated that he aimed to stay true to the character as Christie wrote him. For me, Suchet fully managed to inhabit that character, and I find it impossible to pick up a Poirot story and not envisage his Poirot and hear his voice. 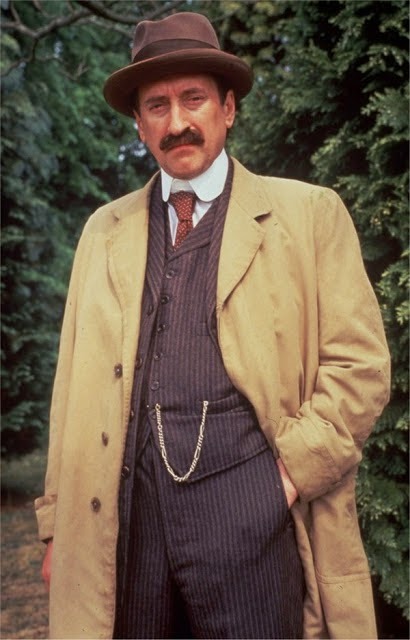 One has to have respect for Poirot, because he's a genius, his analytic abilities are second to none. Hastings is a completely opposite personality, much more laid back and emotional. He is not the sharpest tool in the box although he will occasionally, by mistake, come up with a connection between events which Poirot will capitalise on. While they irate each other constantly they also have a great bond. In the final episode, Hastings is much older because he's been away and come back to find Poirot not in the best of health and you see a more considered side, he's grown up a lot. He's been to Argentina and had a family and a farm, and had a life away from Poirot. But they slipped back into the old relationship as if there hadn't been a break at all. James Japp, while being a competent detective, is no match for Poirot; he frequently finds himself a step behind the great detective but has developed a grudging respect for the man's abilities over their years together. 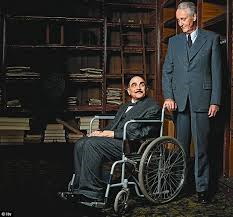 Japp and Hastings often commiserate on their confusion and inability to keep up with Poirot on cases. Agatha Christie described Miss Lemon as ‘the perfect machine’ and ‘a woman without imagination’, but ‘she ran Hercule Poirot’s life for him’. Her passion seems to have been filing and organizing, as Christie explains; ‘It was well known that the whole of Miss Lemon’s heart and mind was given, when she was not on duty, to the perfection of a new filing system which was to be patented and bear her name. Miss Lemon's liking for Poirot is perhaps the cleverest addition. 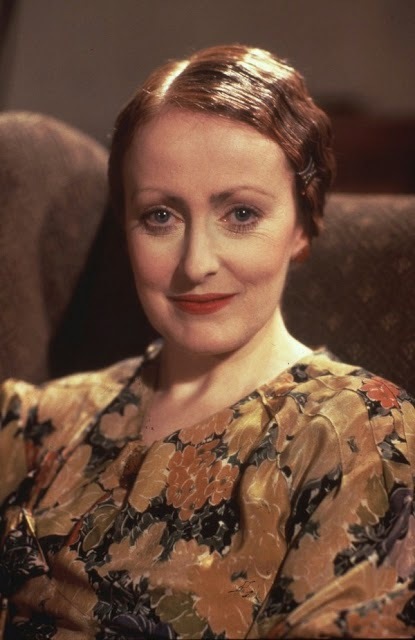 The viewer is quite clever about Miss Lemon's status in the series, her aspirations, her liking for Poirot and all the things a great actress brings to the role. Miss Lemon adores Poirot. But of course, this is all unspoken, as it has to be, because there is no sexual tension between the two of them, but I think the audience might pick up that she absolutely adores him. I have loved writing about this, I loved researching in to it and I really would like to talk about the documentary David Suchet did in 2013 called Poirot and Me. But yes the title of the blog post refers to a life quote but I'm thinking more of a crime novel way. Because not everyone is innocent and this is the case in Agatha Christie Poirot. People deceive Poirot, Hastings and Japp and this is the beauty of a 'Who done it?' This is what captures the audience. When I decided to make my blog I didn't think I'd be writing this but as you get into to it your mind thinks of not as obvious vintage related things and then when you start you realise how interesting people might find it. If people like crime novels/ television dramas then it might inspire someone to mention it in there blog or even create a blog. Your blog does not have to be 'famous' or 'well known' to the world it can just be a hobby something that you are passionate about. I would love to hear what you think and would be interested to know if you would want to hear more about crime novels such as Sherlock Holmes.